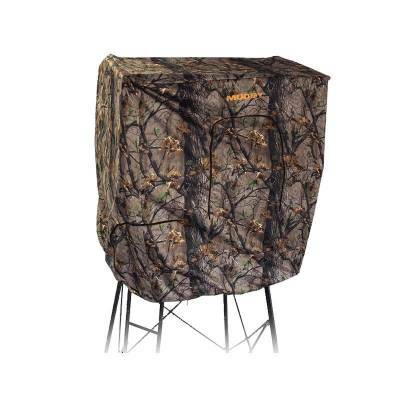 The Quad Roof Kit Enclosure measures 48” tall above the shooting rail of the Quad-pod. Padded, full surround 36” high shooting rail, steel floor, and 2 Muddy Flex-tek seats fit perfectly underneath this roof, giving a standing height of 7’. Includes blind securing tie-downs, and features 4 zippered windows.